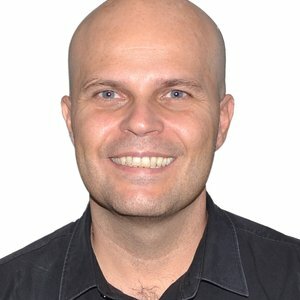 Roberto Coelho is a Brazilian music and sound producer based in São Paulo. Founder of Satelite Audio in 2005 with his business partner Kito Siqueira, together they run the most awarded music and sound company in Brazil. Their clients form a long list of the most successful agencies and companies in the advertising market, such as Nike, Google, Ford, Mastercard, FCB, W&K London and São Paulo, David & Goliath LA, Almap BBDO, F/Nazca Saatchi and Saatchi among others. In 2015, Satelite Audio was one of the most highly awarded companies in the world, becoming the first Brazilian company to win the Grand Clio of Audio with ‘Leica Soundlab’ and also the Film Gran Prix at Cannes Festival with ‘Leica 100’, the first ever Gran Prix of Film win for Latin America. At the D&AD Festival, Satelite Audio has been awarded many ‘pencils’, including works for Nike “Addiction”, Getty Images “From Love To Bingo”, Nike “Before and After”, Leica “Soul”, Leica “Soundlab” among others. At The Clio Festival, they also won Best Use of Music, Original Music and 4 more Clio Awards in the Film Category. The company has more than 20 Cannes Lions including: Best Use of Music, Best Original Music, Cyber, Direct, Entertainment for Music, Radio and many in the Film Category. Their work has also been awarded at many other festivals such as LIA, One Show, El Ojo, NY Directors.